Last week my boyfriend made a large batch of delicious, spicy chili and we're still eating it! We've been combining it with different sides, like salad or pasta, to keep it interesting and yesterday I decided to make jalapeno cheddar cornbread to compliment it. Per usual, I used an eggless recipe, this one, which was simple to follow and called for ingredients I always keep on hand. To make it a little different, I added extra sharp cheddar cheese and chopped fresh jalapenos to taste. It was yummy, easy, and went perfectly with our delicious winter chili. One of my favorite discoveries in Philadelphia, thus far, is hands down Brown Betty Dessert Boutique. They have a center city location which serves nothing but delicious pound cake cupcakes, and a Northern Liberties full bakery which makes in addition to cupcakes, pies, cakes, cookies, and other treats. My favorite cupcake flavor is Only for Eliza, sweet potato pound cake with spiced vanilla frosting, completely delicious. This place is worth a visit on any Philadelphia vacation. Yum! 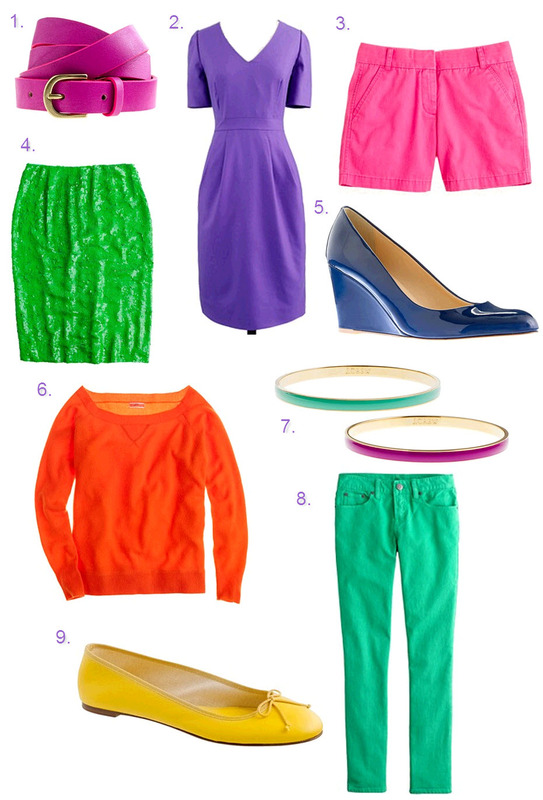 I am absolutely adoring all the bright, candy colors for spring; especially J Crew's. A pop of color is such a great way to add instant style to any outfit, and is completely work and weekend appropriate. I've always been a big supporter of color, and I'm so excited to see all these brights hitting the shelves. I felt this add was a good follow-up to my previous post. It's simple and perfectly effective, just because you don't see all the plastic from water bottles, it's there. While I am occasionally guilty of this myself, try to stop buying water bottles. When you're out somewhere and thirsty, ask for tap water instead, bring a reusable, glass water bottle with you. 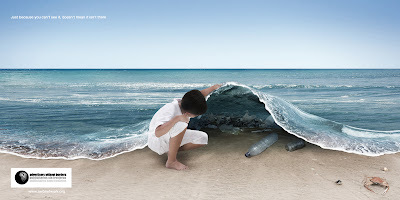 Obviously we aren't perfect, things come up; but let's try our best to limit our usage, at least for the sake of all those pretty fishes down there. That whitewashed background that you can't really see is Philly, my city! Recently the BF and I took a little trip to the Camden Aquarium. When we first met, my boyfriend had never been to a zoo or aquarium before. I've quickly changed that as I fell in love with zoo visits and aquarium exploration at an early age. What is so amazing about aquariums is the glimpse they give you into an entirely different world. The fish and other creatures are so bizarrely different from what exists on dry land, and so eerily beautiful at the same time. The bright colors, camouflage techniques, and graceful movements are so inspiring. My favorites, hands down, are the rays for the way they look like they're flying through the water. Oh, and one of the best parts of this aquarium: the opportunity to touch rays and sharks, how cool is that? Do you enjoy aquariums, what are your favorites? I find the color combinations so inspiring, I could probably design a whole room of the colors of one fish. As a little girl, spending summers at the beach, I was super afraid of getting stung by a jellyfish. I've since gotten over my fear and learned to appreciate their elegant beauty. Wouldn't you like to be a seahorse, just relaxing in the reeds all day? Regrettably not the best picture, it was dark in the room, but such an amazing view of an octopus. Once, at another aquarium visit, I saw an octopus swimming around its cage, this was the most active I've seen on since. J Crew. My Dorothy Slippers; I saw these and was instantly smitten. These made a few appearances during this holiday season, which, being my favorite time of year, is the perfect time to wear a favorite pair of shoes. Growing up I was never shoe-crazy like some of my friends. I think it mostly had to do with my belief that my feet were huge (size 8 1/2), and that I was too tall for heels (5'8"). Well since then, boys have grown taller and I've realized that while not petite, my feet aren't monstrous either. Since then, I've become shoe-obsessed, to the point where if I even mention that a pair is cute my boyfriend immediately responds with, "do you really need those?" To honor my love of shoes, here are my favorite pairs. Jeffrey Campbell. I wore these shoes all throughout Paris as I felt they perfectly embodied the french girl flare. Badgley Mischka. These had me at the heel, my go-to strappy black occasion shoes. Tretorn. Any girl who's lived through a harsh winter knows that a good pair of waterproof, winter boots are a must. These are fuzzy on the inside and oh so perfect for treks through the snow. Born Crown. A slightly more sophisticated take on the flip-flop, although let's be honest how sophisticated can one really be? Metallic flowers, I'm sold. As a Christmas gift, my parents gave me and my boyfriend tickets to different shows around Philadelphia. Which means this weekend we headed to the Kimmel Center to see the Philadelphia Orchestra perform two Beethoven pieces. The performance was lovely, but one of my favorite parts was finding the sequin artwork (pictured below) during intermission. It is a recreation of Monet's study on hay stacks and is strikingly reminiscent of these. A recent business trip brought me close to where my Grandma lives, so I of course stopped by for a visit. During our time together we looked through some old photos and when I saw this one, I asked her immediately if I could have it. Everything about this picture is lovely to me. 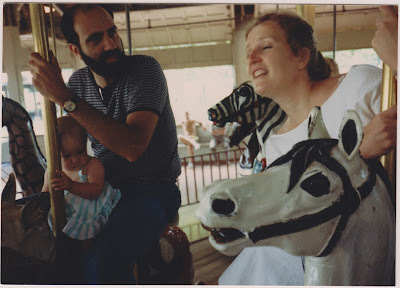 It's taken on an antique, merry-go-round, a place where my parents brought me every year to take a photo as I grew. The photo is carefree and happy, which is helping to remind me, during this stressful time at work, to focus on the little joys, the times of easy happiness. Working at one of the Big Four means that busy season is heavily upon us, which is stressing me out! I'll take some cheese with my wine, but 12 hour days are not exactly what I would call fun. This time last year I got incredibly stressed and miserable, so this year I'm trying to be proactive and keep myself healthy and happy. I've carved out Wednesday nights to leave early and make it to a yoga class and after reading this article, I have plans to change some of the foods I'm eating. As if I needed another excuse to eat chocolate and berries! What do you do when you're stressed to try and keep your cool? No matter what you're making, it seems a recipe calls for chopped or diced onions. Okay, while I realize that may be a slight exaggeration, it is amazing how many recipes call for chopping onions, especially when I had, until recently, quite the aversion to it. My eyes are what I'll call ultra sensitive to onion and it would look like I was gunning for an Oscar every time I chopped one. Luckily the combination of two tricks has put the theatrics on hold. The key to cutting consistently sized, tear free onions is actually pretty simple, once you get the hand of it. Cut off the side opposite of the roots and peel. Slice perpendicular to the cuts you just made, and voila evenly diced onions and no tears! I love making soups during the winter, as there is nothing like being warmed from the inside out on a cold day. An easy recipe, perfect for a work night, is vegetarian chicken and dumpling soup. And, because I grew up eating it, it always has a wonderful, comforting effect. Sautee celery, carrots, and onions until soft. Add broth and green beans. Once water boils again and green beans are almost cooked, add peas. Drop biscuits (made following box directions) into water, cook until fully cooked, approximately 7 to 8 minutes. I like to cut in butter using two knives so the butter doesn't get too soft, as it sometimes does when using your fingers.